Day 2 of the black and white 5 day challenge and I’m feeling a bit more work motivated after our recent Christmas break. This image was captured whilst on a photography shoot for a petrochemical company. 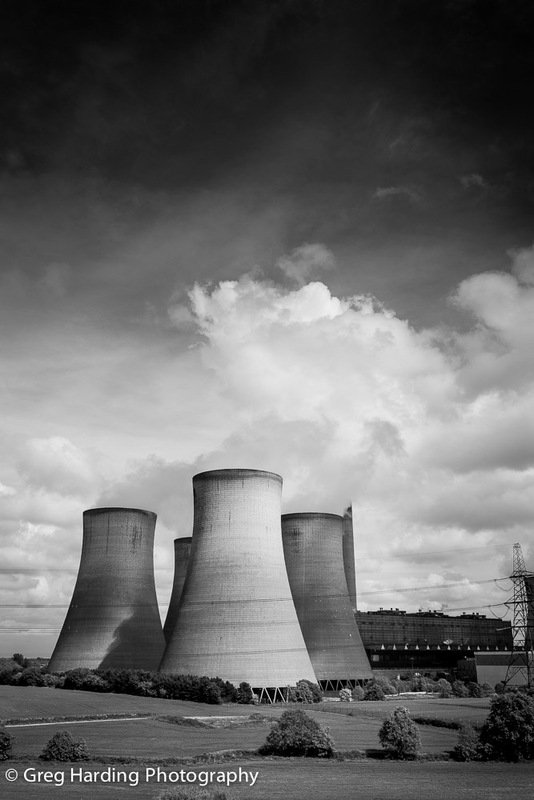 I quite often see images that I wish I could focus on instead of the work I’m actually there for, so I grabbed a quick shot of these cooling towers in broken sunshine. I love the juxtaposition of the beautiful countryside and stark brick stacks. I’m always happy to hear your comments.